The royal family has enjoyed a year arguably unlike any other, and they want to celebrate it! 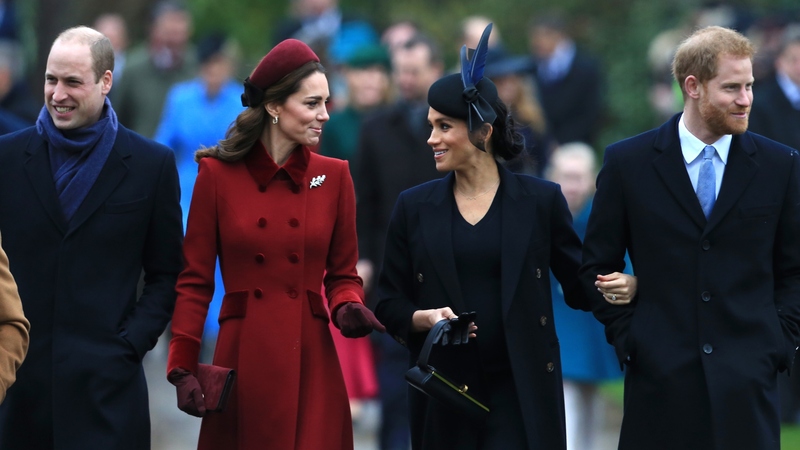 As we head into 2019, the Fab Four — aka Prince William, Kate Middleton, Prince Harry and Meghan Markle — have released a video reflecting on highlights of 2018. “Here are some of our favourite moments from 2018 — thank you to everyone who made this year so special. See you in 2019!” posted the Kensington Palace Twitter handle on Saturday. And we have to say, those moments are pretty amazing. Not surprisingly, Meghan and Harry’s royal wedding on May 19 made the cut, as did Meghan’s first solo outing with Queen Elizabeth, her first official royal tour with her new husband and the couple’s work as youth ambassadors for the Commonwealth. Kate and William’s favorite moments included the birth of their youngest son, Prince Louis, and many experiences that have come from their charity work. And, yes, despite the seemingly constant barrage of headlines purporting bad blood between Kate and Megan, both of them were in several favorite moments featured in the three-minute clip: the first annual Royal Foundation Forum, the annual Trooping the Colour and Remembrance Day events and Prince Charles’ 70th birthday. With two weddings, a baby and all of their royal responsibilities, it certainly has been a banner year for the royal family. So, what will 2019 hold for the Fab Four and more? Well, let’s just say they likely won’t have any trouble gathering footage for next year’s video. The buzziest news, of course, is the arrival of Harry and Meghan’s baby sometime in the spring. Prior to that, though, they’ll also be moving from Nottingham Palace, at Kensington Palace, to Frogmore Cottage, on the grounds of the queen’s Windsor Castle estate. Once the baby arrives, the child’s christening will count as another major royal family affair. According to the London Times, the new year will also bring new responsibility for Meghan — she will reportedly inherit a royal patronage from Queen Elizabeth. Although what that patronage will entail has yet to be confirmed, it’s widely speculated to center on one of Meghan’s most passionate causes: women’s empowerment. As for William and Kate, it’s possible William has already begun royal “lessons” to become the Prince of Wales. If true, he’ll undoubtedly continue this training into 2019. Additionally, the couple will likely send their daughter, Princess Charlotte, to the Thomas Battersea nursery school with big brother Prince George. And it’s safe to assume we’re all looking forward to those adorable first-day photos showing up in next year’s highlight reel.